Bill Windsor was at the Missoula County Montana Courthouse with Judge James A. Haynes and Deputy Missoula County Attorney Jennifer Clark on November 20, 2015 for what was billed as the Pre-Trial Conference. Judge James A. Haynes began the hearing by looking at Jennifer Clark and almost pleading with her to tell him the State of Montana had decided to drop the charges. When she sheepishly told him no, he became the nastiest judge I have yet experienced. There was a court reporter there, and I will immediately order the transcript, though every previous request for transcripts has gone unanswered and "minutes" of hearings have been falsified. 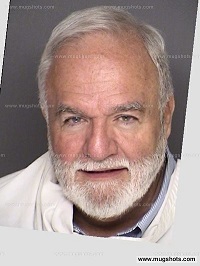 Judge James A. Haynes refused to even discuss dismissing the two bogus misdemeanor charges against me (Bill Windsor). So, the Trial of William Michael Windsor for allegedly sending an email to an attorney and for filming a movie will be held January 5-6, 2016 at the lovely Missoula County Courthouse in Missoula Montana. Please join me. I have confirmation of friends coming from as far away as Pennsylvania and Florida and from as nearby as Montana and Washington. But in the second-best news of the day, Judge James A. Haynes says that the Court Rules allow the trial to be filmed, and so it shall be. So, if you can't be there in person, you will be able to watch it on YouTube, and I will have portions to use in Lawless America...The Movie. Now, for the top news of the day, I NO LONGER HAVE TO WEAR A GPS ANKLE BRACELET. That baby was cut off my leg today by Jake at Compliance Monitoring Systems. Prior to the Kangaroo Court session, I spent an hour with Jennifer Clark discussing the proposed Jury Instructions. It was very pleasant. She begged me several times to accept her settlement offer. I told her I would rather go to jail than agree to anything that would deny my Constitutional rights. Jennifer Clark and the University of Montana have one objective -- to try to stop me from exposing the crimes of Sean B**shie and the University of Montana. Ain't gonna happen. I do once again feel that Jennifer Clark is being forced to pursue this case against me. It is clear to me that she didn't dismiss the bogus charges for one and only one reason -- because to do so would be very damaging to the malicious prosecution lawsuit that I will pursue. In one of the more bizarre portions of this totally bizarre Kangaroo Court session, V encouraged me to leave Montana and not show up for the trial. Seriously. Because the charges are only misdemeanors, Montana cannot extradite me, and I cannot be "arrested" in another state due to these misdemeanor charges. Both Jennifer Clark and he would love it if I would do this because it would destroy my malicious prosecution lawsuit. Ain't gonna happen. Judge James A. Haynes demeaned my friends at several points during the hearing, and he called me every name in the book. Judge James A. Haynes said the Temporary Order of Protection was poor, yet he recently claimed it was valid for 546 days. It is amazing to me to watch him manufacture facts that don't exist, lie, distort facts that do exist, and completely and totally ignore the law. It is a mystery to me how he dismissed the three bogus felony charges against me. Legal experts tell me he did it because there was not a leg to stand on in allowing those charges to continue. But corrupt judges like Judge James A. Haynes do not usually let such things bother them. Sean B**shie attended the hearing. He is the paid government cybserstalker who attempted to murder me on August 4, 2013. He's the one who Judge James A. Hayness refused to give me a protective order on by claiming I didn't qualify for a protective order because Sean B**shie had not yet been convicted (which the average person on the street knows is not the law). Sean B**shie was likely carrying a concealed handgun, and Judge James A. Haynes acknowledged this. He said that if I want security in the courtroom, I can hire my own private security. Seriously. Sean B**shie is one of the ugliest people I have ever encountered, outside and in. I didn't get the exact words scribbled down in my notes, but Judge James A. Haynes indicated this whole matter is a circus. He said that the trial will be interesting for people to "watch Mr. Windsor's antics." He said I love drama. Well, that's true. Gee, I'm in the movie-making business, so I LOVE drama. I'd love to tell the jury just exactly what is happening, but if I did that, Judge James A. Haynes would throw the book at me. The maximum penalty would be 222 days in the Missoula County Detention Center and a $1,000 fine. I may just take that risk. In fact, I believe I will tell the jury and just let Judge James A. Haynes explode. He thinks the jury will decide I am not credible. 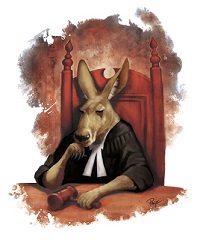 I think the jury willl see that this is a Kangaroo Court with a corrupt judge and prosecutor. I will be filing a Writ with the Montana Supreme Court on the unconstitutionality of the charges. The Montana Supreme Court is mega corrupt, and they hate my guts. So, I may not get very far with it. If not, at least I will have established the legal record in the case. Judge James A. Haynes laughed at me and noted that the Montana Supreme Court hates me. That is another of the few things that he said today that was true. Judge James A. Haynes denied all of my motions, most without any discussion or explanation whatsoever. I am being allowed a total of only 20 pages for all my filings through the end of the trial. My Notice of Appeal will be many pages long just listing the atrocities, so I can't file much. Should I be found guilty, I will have my Notice of Appeal ready, and I will file it right there in the courtroom. Dr. James A. Haynes diagnosed me as having a hearing problem. Guess I need to have that checked. On the issue of denial of due process, he took credit for educating me as to that. I raised the issue on August 26, 2013, and he raised it on October 20, 2015, but Judge James A. Haynes thinks he's God's gift to judgeship. He's the only one who thinks that, but talk about Narcissistic, this guy gets a Capital N.
Judge James A. Haynes threatened me repeatedly during the "hearing." Between threatening me and demeaning me in every way possible, not much else was done. He indicated that he has been reading a lot of material that isn't part of the case. That is, of course, most improper, but no one will do anything about it. In the last piece of goodish news from the "hearing," I can leave this Godforsaken area until January 5, 2016. So, I am headed to Hollywood for a couple of meetings, and then I will hit Route 66 to do some filming as I head East from Santa Monica California. In other news, I have been suspended from Facebook for 30 days for publishing something that I didn't publish. So, for all the news, come here. This will blow a big hole in the planned Route 66 filming as I no longer have a way to reach the audience.